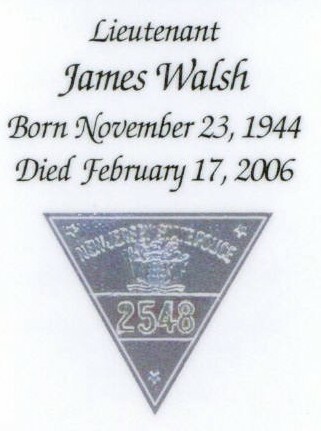 On February 17, 2006 The New Jersey State Police and the entire NJ Pipe Band Community lost a true friend. Jim Walsh was best described as the "consummate gentleman". He will truly be missed by everyone. The Emerald Society offers our deepest sympathy to Jim's family and the State Police Pipe Band.